Whether you're new to cosplay, or if you've been cosplaying for more years than you can remember, cosplay is amazing! However, we know that not every cosplayer knows of the various makeups you may need for some costumes. So, here are five useful cosplay makeup tutorials, we've found on Youtube. We hope you find these as helpful as we did! Note: We did not make any of these tutorials, nor do we own them. We are not responsible for any content or effects you experience from the external videos and links below. Makeup is pretty important in cosplay, believe it or not. Without makeup a cosplayer usually will get washed out in a photo. 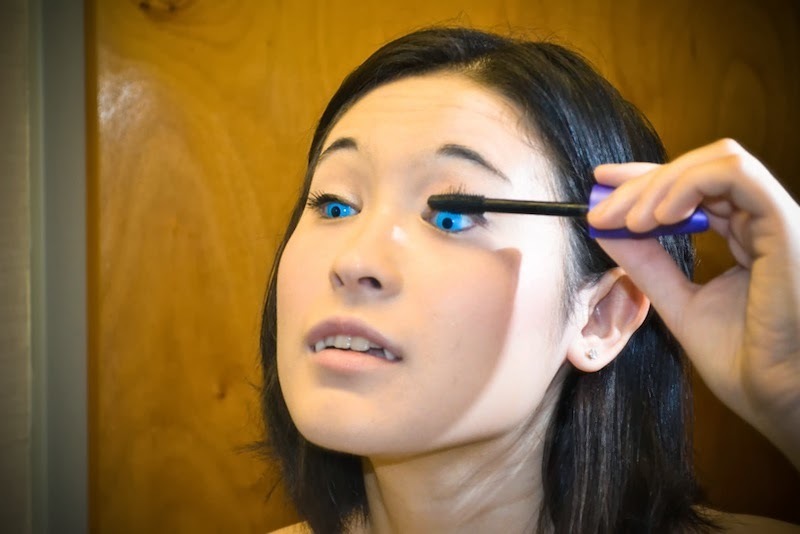 This tutorial is very useful to anyone starting out in either makeup, cosplay, or both! Ever wanted to look like those really kawaii boys from some shoujo manga? Well here is a helpful tutorial that will totally transform you into a bishounen. This makeup tutorial is great for Ouran Highschool Host Club, Black Butler, and any other fandom with kawaii men to cosplay as. Here is a less feminine way to do female to male crossplay makeup. This shows you how easy it is to completely transform a female face into a bearded male hero. That may sound funny, but in the world of cosplay its important! Elves are in many things us cosplayers seem to love. (Video games, Anime, Novels, Dungeons & Dragons, etc.) Although this makeup tutorial is showing a very basic elf cosplay idea, it can be really put into any elf cosplay you design or any elf character. Also in this video, you'll see a cheap and effective way to make yourself cosplay elf ears. This final tutorial is great for Skyrim khajit cosplay. Its also amazing for other animal based cosplays such as were wolves, or even Catkind from Doctor Who. Although this makeup tutorial may be on the strange side, its really helpful and helps create realistic results! We hope you find this list of tutorials useful. We will post more cosplay resources like this in the future! Brand new vinyl decals added to the shop! Gamers welcome! We've just added a new set of gaming related vinyl decals to our store. 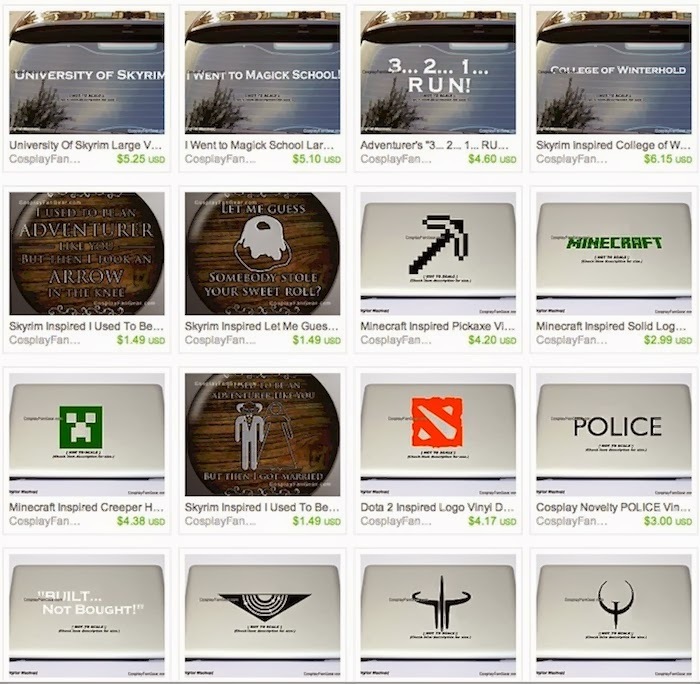 Choose from a variety of cool decals with inspirations ranging from RPG's like Skyrim to modern classics like Minecraft. Vinyl decals are durable, cool looking vinyl stickers which can be applied to almost any smooth surface. People often customize their cars, laptops and walls with them. We also have pinback buttons which are a fantastic way to customize your favorite cloth items such as backpacks, messenger bags, hats and more! Check back for new designs soon! Happy New Year from Cosplay & Fan Gear, LLC! Thank you to all of our lovely customers, we hope you have a safe and happy 2014. To kick off the new year, we are offering 10% OFF on all orders throughout the month of January! Save on our already low priced items and get some cool stuff! Simply use code "HI2014" on CosplayFanGear.com! Discount applies to all items including vinyl decals, mini top hats, and fezzes.